I’ve since revisited it several times, mostly out of necessity at an ill-stocked bar. But the funny thing is, even as my appreciation of scotch increased, my appreciation of Chivas Regal 12 remained the same. It’s just not that great. Like most sophomoric whisky drinkers, I simply assumed it was because Chivas Regal 12 is a blended scotch. But I’ve subsequently had several different blends which I’ve quite enjoyed. The truth is, Chivas is a relic from a past age — a time where just being called “scotch” was enough to signify its quality. But as single malts and blends alike have raised the bar, Chivas has been left behind. Chivas looks like the colour “scotch” and is probably a result of caramel colouring (although to be fair I haven’t confirmed.) It’s rather thin in the glass. On the nose, Chivas has a bit of apples, a touch of caramel, and a big puff of alcohol (surprising at only 40 ABV). There’s a sour, chemical undertone that was pretty unpleasant. It does a bit better after a sip, but not by much. It has a thin, watery body which glides right off the tongue. The sweetness is amped up with honey, caramel and wood. The dominant top note is a punch of iodine which I normally enjoy, but feels way out of place in Chivas Regal 12. Finish is brief but the sweetness quickly fades to a sour note that seems to stick around and increase with each sip. I can say quite honestly I didn’t much enjoy Chivas, although there was nothing intensely offensive about it. 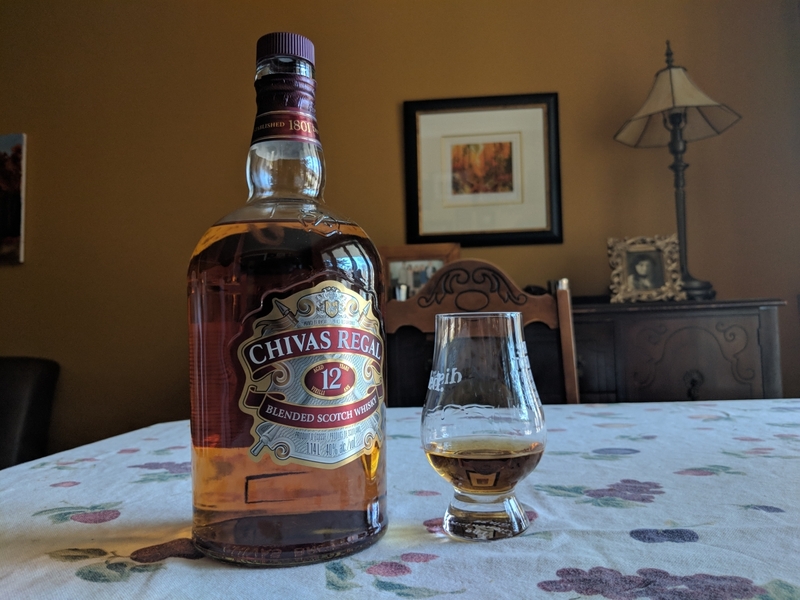 When I first tried Chivas Regal 12 I didn’t know enough about scotch to have a proper opinion. But now I do, and my opinion is you should spend your money on better scotch. Even if you don’t want to be a single malt snob, there are plenty of blends in the same price range that are worth sipping slow.